1) Make sure you have updated FooGallery to the latest version. This is very important. 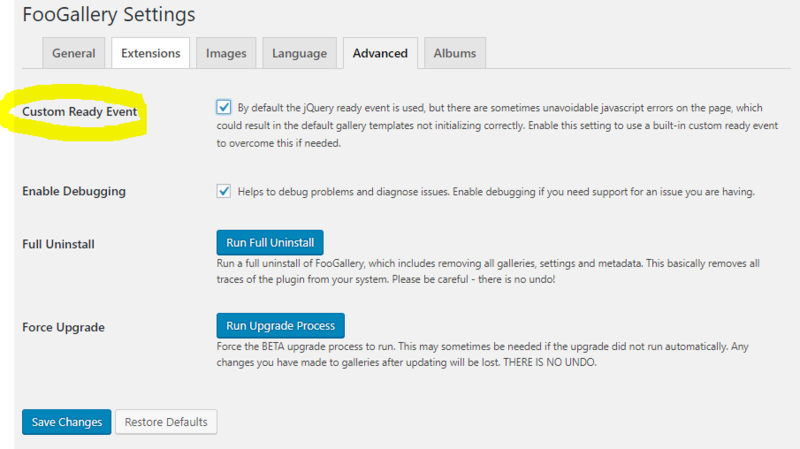 3) Goto the FooGallery -> Settings page and click on the Advanced tab. 5) Clear/delete/purge any caching plugin caches if you have any running.